MOSCOW, October 23. /TASS/. The Russian Orthodox Church was puzzled and saddened by recent ‘strange’ statements from Ecumenical Patriarch Bartholomew of Constantinople who said that the Russian Church would have to put up with autocephaly for Ukraine, Chairman of the Synodal Department for the Church’s Relations with Society and Mass Media Vladimir Legoida told TASS on Tuesday. "It is very strange and sad to hear such statements from the Constantinople Patriarchate. When they say that ‘we will have to agree,’ this is not consistent with the allegations that the Phanar is trying to tackle all issues in the spirit of love and harmony," he said. 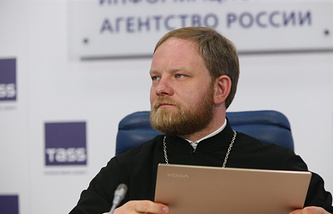 Legoida stressed that despite the recent statements, the Russian Orthodox Church hoped the issue would be resolved peacefully. "We would like very much for them (these issues) to be resolved that way and we have kept up hope that this is possible. That is why we pray for that every day. That was why Patriarch Kirill flew to Istanbul on August 31 to solve the existing problems during a fraternal conversation, not by referring to Constantinople’s nonexistent exclusive rights, but in the spirit of the Gospel. That has not happened so far. Let’s hope the situation will change in the future," he added. 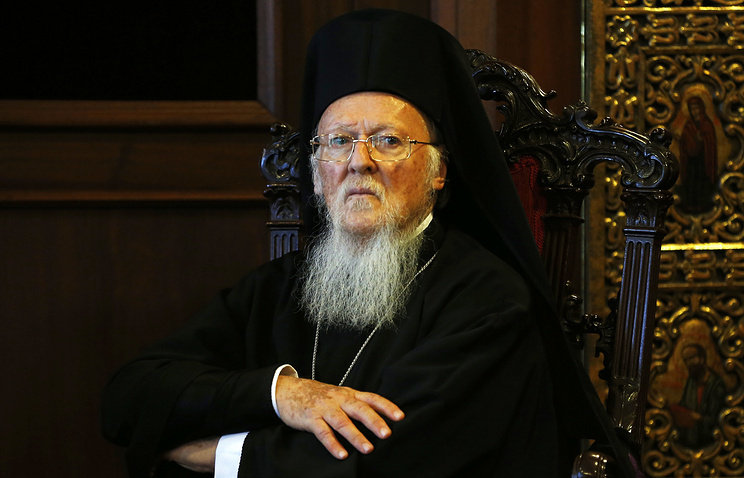 Ecumenical Patriarch Bartholomew of Constantinople earlier said he would not backtrack on the issue of granting autocephaly to the Ukrainian Church despite the Russian Orthodox Church’s concern. He was also confident that Moscow would have to adhere to this decision.